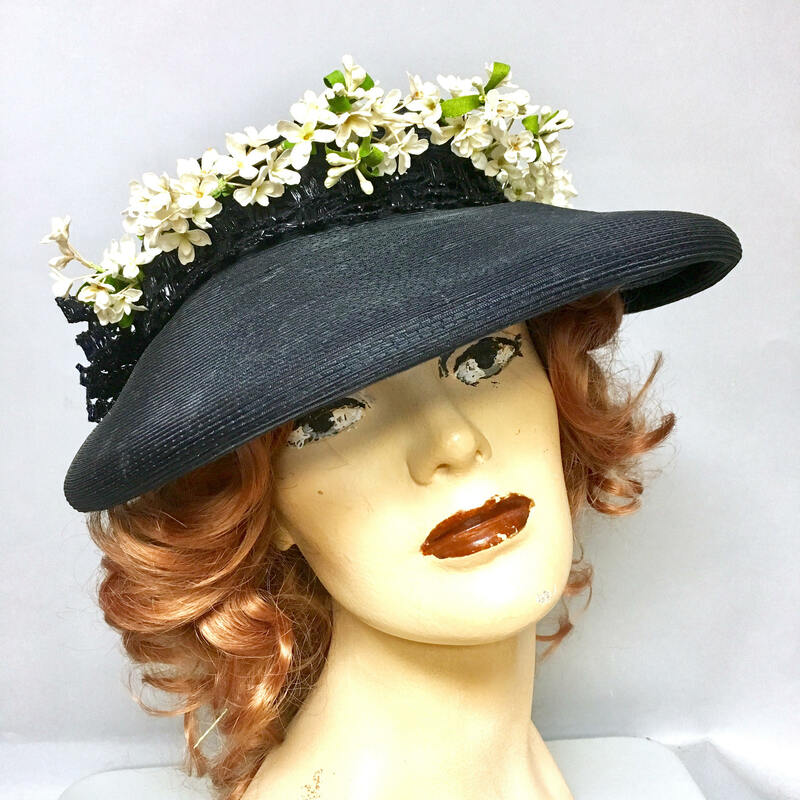 This vintage early 1940's cartwheel hat is made of a navy straw with row of white flowers in the front. The back is just as dramatic with a large navy bow made of wide netting. 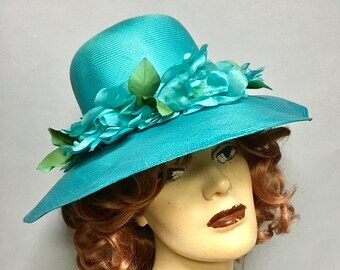 There are 2 navy fabric covered hat pins included in this hat. They are original to the hat. The straw is finely woven and in excellent shape. It so reminds me of the hats Lucille O' Ball wore in the early stages of her career as I Love Lucy. 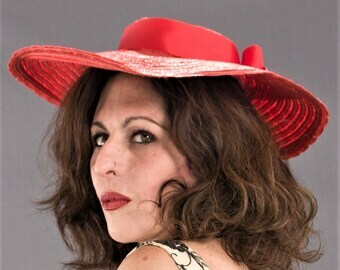 The wide brim hat is such a great forties look worn on a back tilt! The size 22.5" circumference. The brim is about 13"x 12" in diameter. A great summer 1940's look. 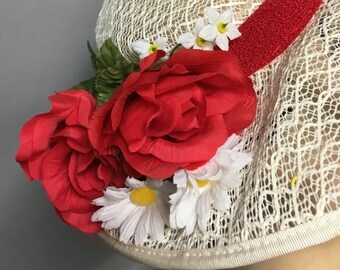 Vintage 1970's Straw WIDE BRIM Hat, with POLKA Dots, Netting, and Bow, Super Cute!